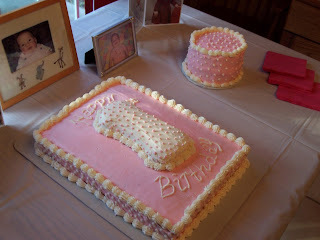 This is one of the first cakes I made. I did it for my daughter's first birthday. 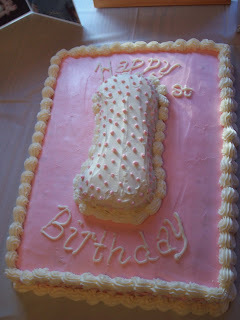 It is in all buttercream to match a pink polka dot theme.